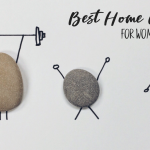 You are here: Home / Shakeology / Can Shakeology Really Help Curb Your Appetite? 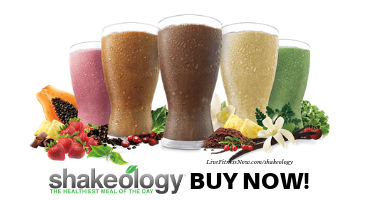 Shakeology appears to be similar to other health shakes but has ingredients that set it apart. Shakeology is best known for its superfood ingredients, including a proprietary protein blend, super fruits, super greens, adaptogens and much more! Enriched with carefully sourced ingredients, Shakeology is formulated to deliver a powerhouse of nutrients to help supplement your healthy lifestyle. 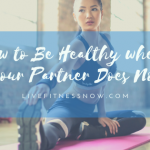 In my search for a healthy shake that helps to curb my appetite, I found Shakeology to be the best solution for decreasing my food intake while feeling satisfied. How Does Shakeology work to Reduce Hunger? 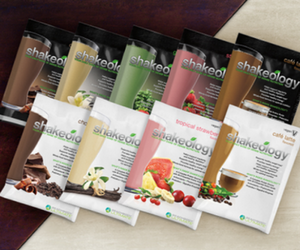 I started using Shakeology in 2009 when Beachbody first developed it. As a true connoisseur of snacking, I was carrying around a few extra pounds just from snack foods! The problem was that I never felt satisfied enough to stop eating and I was tired much of the time. I figured I could try drinking Shakeology as a way to curb my appetite and get healthier nutrients into my body. I had nothing to lose but a few pounds! First thing I noticed is that when I drank Shakeology as an afternoon snack instead of the crap I was ingesting, the desire for empty calorie snacks diminished. I was super happy about that. 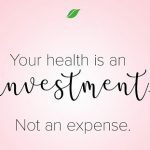 Over time, I lost about 5 pounds (that was all I needed to lose) and my grocery bill went down too! A bag of pretzels or box of crackers can cost $3 to $5 and I was able to eat the whole thing. I had no expectations with Shakeology and was pleasantly surprised at the positive effect on my appetite. I also had a bad habit of eating portions of food that were way bigger than I needed. Fortunately I am a runner so I didn’t pack on too many pounds. Again, I ate more normal sized portion at mealtime when I drank a Shakeology shake in the mid-afternoon. You don’t have to take my word for it! 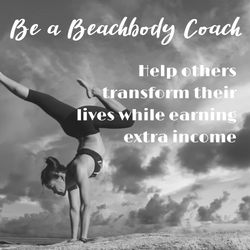 Beachbody conducted clinical trials on the results of drinking Shakeology on 41 overweight adults who drank Shakeology 30 minutes before a meal. 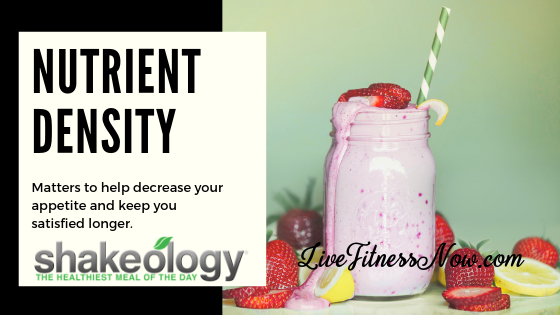 Shakeology is nutrient dense and that makes all the difference. Remember all that snacking I was doing? Those are NOT nutrient dense and so I was never satisfied and kept wanting more. When you ingest the right nutrients for your body, it helps to curb your appetite and help you feel satisfied. 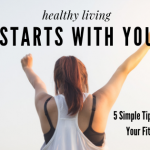 Taking care of my health is my first priority. Of course living healthy goes beyond Shakeology and includes eating good foods along with exercise. 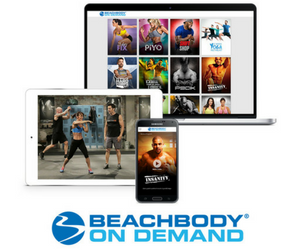 For those of you searching for a healthy shake that really works to help curb your appetite, look no further than Shakeology from Beachbody.